Go dance beneath the flowering trees before their petal storms are over for the spring season! They fade so fast. A sure fire sign of spring! Gorgeous picture! Beautiful blossoms, there so pretty but dont last very long. Those are beautiful. When my tree blooms, I'll post it because I don't know what it is. Such pretty flowers!!! My son wants to pick the flowers. I've had to get after him. Lovely cherry blossoms. I hope to be able to see them one day in Japan or Korea. Oh, lovely! Those are one of my favorites. Cherry tree blossoms are pretty. I would love to photograph some! Happy WW! SPRING! Or is that summer? Gorgeous. The picture makes me want to frolic. so gorgeous! What a lovely photo! Really beautiful, love this pic! So, so pretty! Spring is such a lovely time of year. They are beautiful! Have a terrific day. 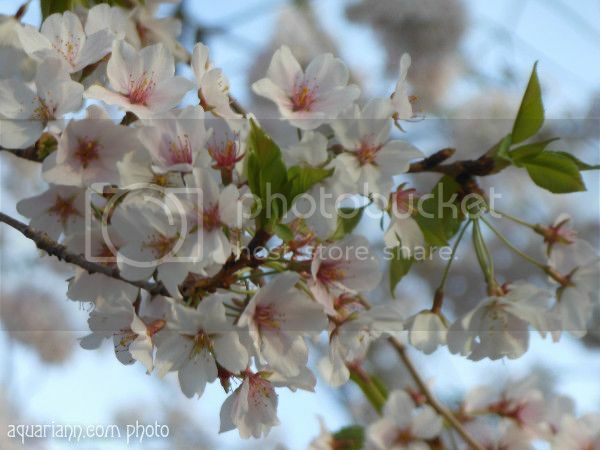 Cherry tree blossoms are some of the prettiest there are! Hands down. Great photo! I love cherry blossoms. I've always wanted to see the DC area during blooming season, but never made it yet. Wow, so beautiful! I'm jealous because I don't think there are many of those left here. :( Next year!